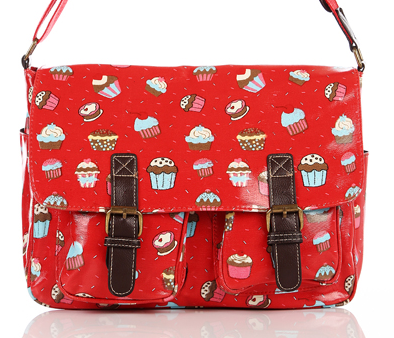 RED PVC Cupcake Printed Satchel For £14.99! Beautiful Gift for a friend? Treat yourself, buy this bag today…Vibrant Colours, a stunning bag you truly deserve..